Never any point in crying over spilt milk. Using flash photography can be fun at times.... but messy. Position the flash/strobe close to the subject - this makes sure the subject is well lit, but the background remains in darkness. 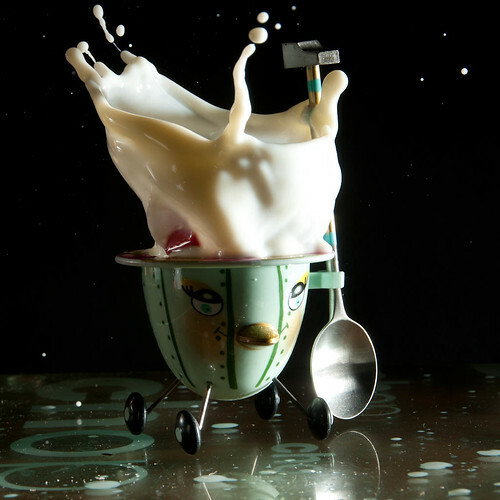 The milk will appear frozen in place as the actual flash duration is typically about 1/1000th of a second. You will probably have to repeat multiple times to get the timing coordinated between the splash happening and operating your camera. 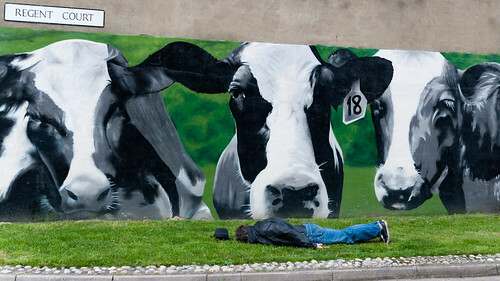 Took my car into Reading to get it MOT'd, and this was on the wall of the meat market (auction yards) across the road from the garage. Hopefully I livened up the day for the cows. 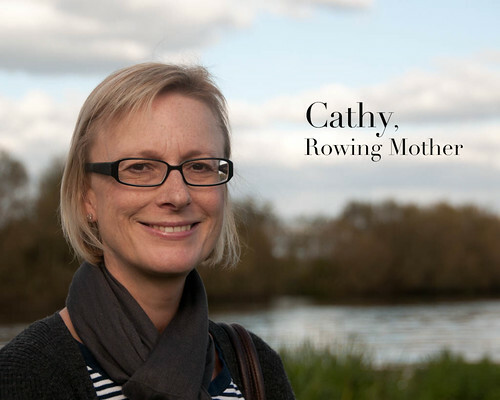 Just to be clear, Cathy is a mother of a rower.... not a mother who rows. I met her at the Head Race I attended today that my son competed in. Cathy's son Ed also participated & we got to have a pleasant time chatting on the bank. As parents of rowers we end up spending unreasonable amounts of time on riverbanks, waiting for a few seconds of excitement as our offspring row past, shouting ourselves hoarse in the meantime...... plus doing a taxi service to take them to training sessions 5 or 6 times a week. When I asked her to pose she was happy to do so.... I chose the classic head & shoulders pose rather than the 3/4 length pose so she could proudly display the bulging bag containing a souvenir from her dog. I am sure we will see each other again on the riverbank sometime. p.s. A "Head Race" is a race where the entire field of competitors start at approx 30 second intervals over course usually 2km-5km. Each boat is individually timed. Had some fun with my son Sebe a couple of days ago. Practised some "Light Painting" techniques. 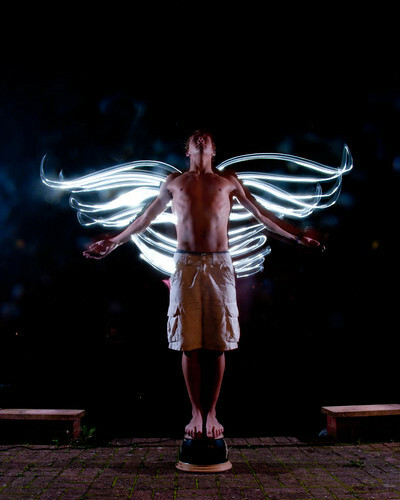 I also used strobes from each side to light up his body. Strobes were set off at the start of the 30 second exposure before I started "painting"
Sebe seemed to enoy it too..... Luckily quite happy to pose half-nekkid at night in October in the UK (the young are hardy & foolish). Came across Julio at the Oxford University Museum of Natural History. 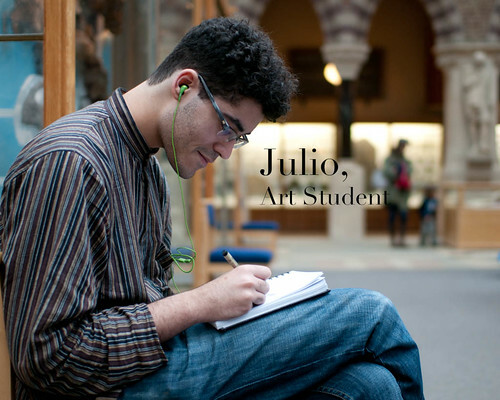 He and 3 other students were sitting there sketching each other. He was quite relaxed about posing for me - I guess he is used to the concept of being a subject, plus he mentioned that he had done a similar project himself in the past. I asked him to carry on with his sketching as the thing that had attracted me to him as a subject was his intense concentration on his task.